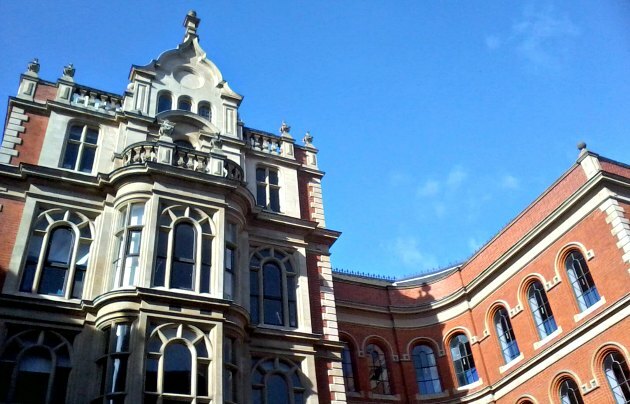 The Lace Market is a district of Nottingham city centre which has many historic buildings. In its heyday, lace was made and sold here and Nottingham became famous for it. Today, the area is home to historic attractions, offices, restaurants, hotels and apartments. 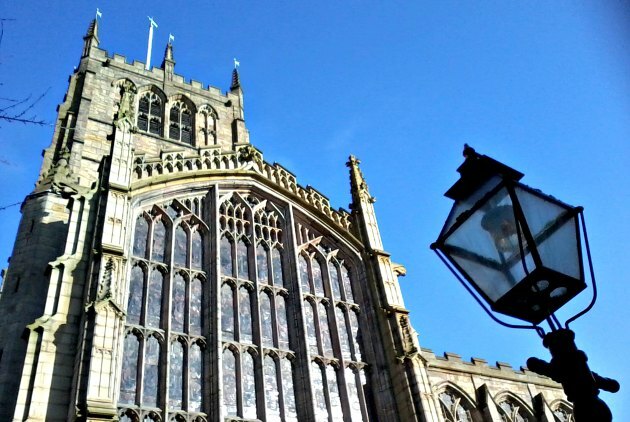 There are a number of lovely buildings here worth seeing and the best by far is the beautiful St Mary’s Church (pictured above). It is open to visitors Tuesday to Saturday from 10.30am to 2.30pm. As you enter pay special attention to the entrance porch which is the oldest part of the building dating back to the 1400s. Apart from St Mary’s, don’t miss the National Justice Museum. This was the former courthouse and county gaol and when you visit, you get to see the court room and cells which still remain. An audio tour of the Lace Market called the “Lace Market Heritage Audio Trail” is available daily from the Justice Museum. It’s narrated by Joanna Lumley and costs £2.95 (2017 prices). 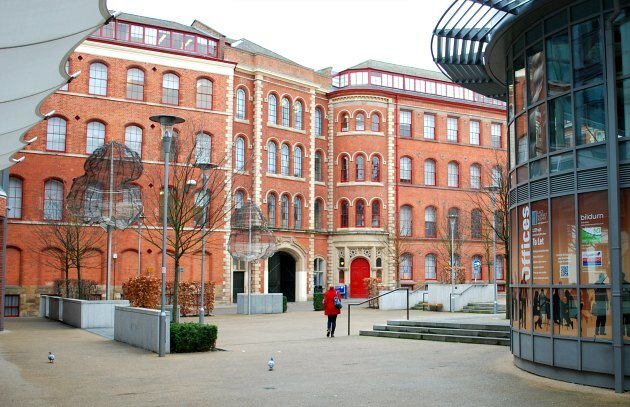 Other buildings to look out for in the Lace market include the Adams building (pictured below), which was one of the largest lace factories and is now a further education college. It’s not open to the public apart from the restaurant, but you can appreciate the Victorian architecture from outside on Stoney Street. Another interesting building is the former Unitarian chapel on High Pavement which is now a Pitcher & Piano bar. A few years ago, a new Lace Market square was created just off St Mary’s Gate which can be pleasant to sit in or walk through (pictured above). The Lace Market is signed from the shopping centres and has its own tram stop. This map shows St Mary’s Church, but you can move around to see other parts of the Lace Market.